There are 56 National Parks (NPs) in the U.S. and prior to last week, the skeptical cardiologist had visited 13 of them, none of which were plant-based. Only 4 NPs as far as I can tell are created specifically to preserve a plant species. Three of them are in California, two of which are concerned with really large redwood trees. I haven’t visited Sequoia or Redwood National Park in California but I’ve been to Muir Woods National Monument north of San Francisco and apparently (per the eternal fiancee’) I wasn’t suitably impressed by the immensity of the coastal redwoods (Sequoia Sempervirens) that grow in their enormity there. Perhaps if I had seen the giant sequoias (Sequoiadendron Giganteum) which grow on the western slopes of the Sierra Nevada mountains my jaw would still be dropped. The skeptical cardiologist is more impressed by the intrinsic beauty, colors, and complexity of the shapes and textures of the branches and leaves of trees rather than their giganticness. I am enthralled just watching trees blown by the winds. 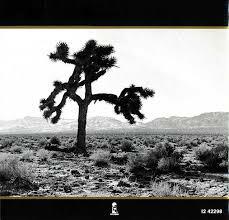 The third California plant-based NP is based on an odd looking but not terribly tall tree called the Joshua Tree which grows in the Mojave desert in Southern California. I’ve always wanted to visit Joshua Tree National Park because one of my musical heroes, Gram Parsons, died from a morphine overdose in room 8 of the Joshua Tree Inn near there. After he died, his body was stolen at Los Angeles International airport by his road manager and his assistant and taken to the Nationa Park and set on fire. There is an interesting (if you are a Gram Parsons fan) movie entitled Grand Theft Parsons based on this adventure. The only non-California plant-based NP is Saguaro (pronounced sa wah roo) NP (SNP) which exists on either side of Tucson, Arizona. Since no famous rock stars were cremated in SNP and no best-selling albums by U2 feature the saguaro cactus on the cover, the park remains relatively unknown. However, after hiking at SNP last week I can attest to the photogenicity of the saguaro, the largest cactus in the U.S. and the beauty of the Sonoran desert, the only location where they grow. 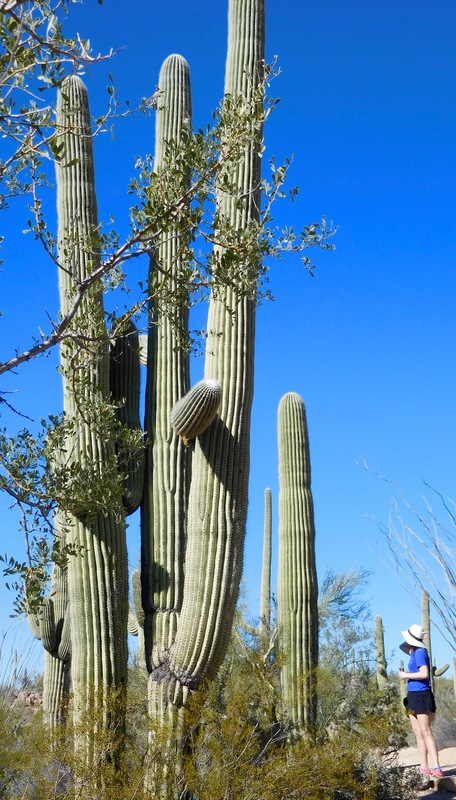 The saguaro (Carnegiae Gigantea) reaches sixty feet in height and can live for 200 years. They only sprout arms when they are 50-75 years old. Since my kids became old enough to appreciate hiking and nature I have tried to focus family vacations on visits to National parks. I can’t think of any more valuable experience for them than hiking in some of the most beautiful places on earth and experiencing diverse and fascinating flora and fauna. And all of this comes at a ridiculously low price for the user. For example, because I’m 62 years old I qualify for a Lifetime senior pass to all National parks and monuments. Cost? 10$!!!! I’m finally seeing the perquisites of becoming a senior citizen. Since the National Park Service was created in 1916 it has grown to protect 88 million acres, 43,000 miles of shoreline, 85,000 miles of rivers and streams, 12,000 miles of trail and 8,500 miles of road in more than 400 national parks, sites and monuments. I sure hope the vision of prior Presidents, Congressman and ardent conservationists (all praise be to Teddy Roosevelt!) who established the federal system that protects these national treasures continues.